With the recent news of Princes death, it brought back memories of being at a New Year’s Eve party on 12/31/1999 dancing with many friends to his song, 1999. We were in fact, partying like it was 1999! 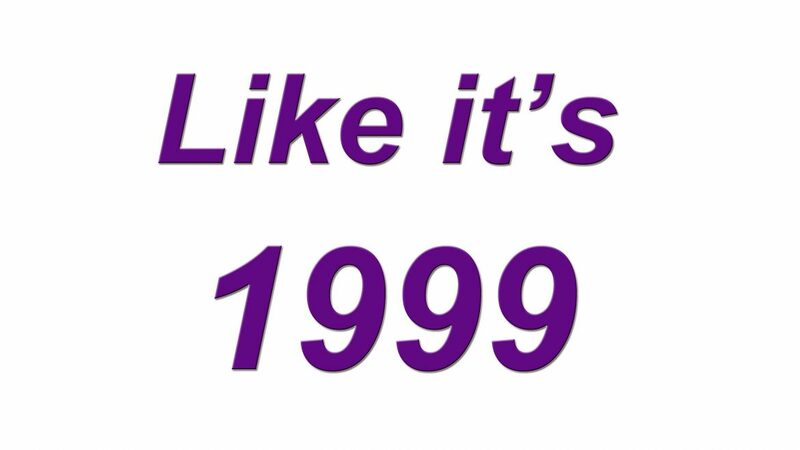 Everyone was having a great time with not to many worries, except possibly one… Y2K. The younger generations probably have no idea what Y2K even means in computer terms but for those of us in the computer business and the many companies that relied on computers, we knew all too well. The dreaded Y2K threat had the potential to bring all computers to a grinding halt on 01/01/2000 @ 12:01am. Stop and think about this for a minute, potentially, ALL COMPUTERS COULD STOP WORKING. Imagine all the different things that are controlled by computers! Whether it was due to proper preparations, or just over hyped, the results were not nearly as bad as expected. Since then, computers have become more prevalent, viruses, computer bugs and hackers continue to increase daily threats. At every level and for every business that has a computer, the risk of losing data or having a security breach is a very serious problem. Malicious software and hackers are very sophisticated and the money to be made by these black market companies is astronomical. So, what will be the next bad thing? This question is not nearly as important as the real question you should be asking, is your data safe & backed up in preparation for the next bad thing? If you knew something bad was going to happen to you, you would try to stop it. At least, you would try to minimize the level of bad it could do to you (like we all did prior to Y2K). Nobody likes bad! When it comes to protecting computers and the data they store, nothing beats a good backup of your information. Failing hardware can be replaced, viruses removed and security threats fixed but lost data is lost. If you own a company, take a minute and think about the effects of losing all information stored on your server & computers. For many companies, it could be the end of their company, at a minimum, it’s lost $$$$. Technology Plus offers offsite data storage to give you the backup you need to be ready for the next bad thing. If you are unsure when the last time your data was backed up, give us a call, we will provide a free consultation to see what your risk of data loss is. The founding partner of Technology Plus in 1995, Carson has been instrumental in company growth and still serves daily as the Chief Operating Officer. He manages and continuously develops the service departments to ensure Technology Plus always offers full service solutions to their customers. Before starting Technology Plus, Carson worked as an architectural designer and CAD manager for 2 Architectural and Engineering companies in Louisville from 1987-1995. During this time, personal computers were first being introduced into the workplace along with new expectations of automation in the production of construction drawings. Carson saw the growing need for technology providers with excellent customer service and dependable products, and Technology Plus was born. When Carson is not at work, he enjoys spending time with his family and pets and is an avid hunter and fisher. Whether it’s a Jeep ride, camping, boating or hiking the trails at the local park, anything outdoors will quickly grab his attention. Yes, Cawood Ledford was his great uncle, but he’s a Louisville Cardinal Fan!